Green Berlin is not the future, it is happening today. Berliners are propagating the message that cramped urban cities can transform to accommodate a safer, more sustainable future. Ishay Govender-Ypma examines three projects in progressive Kreuzberg for Business Day Wanted Magazine. “In Berlin people are open to these ideas; there’s an awareness about the impact on the environment,” Guy says while showing me around the converted warehouse space off an unassuming drag. 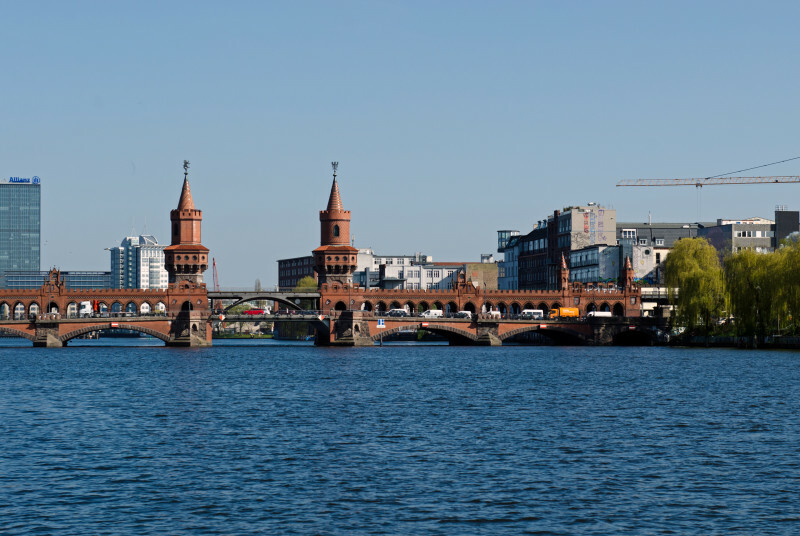 It’s important to note that Berlin, a city of renters traditionally, embodies the classic urban jungle. 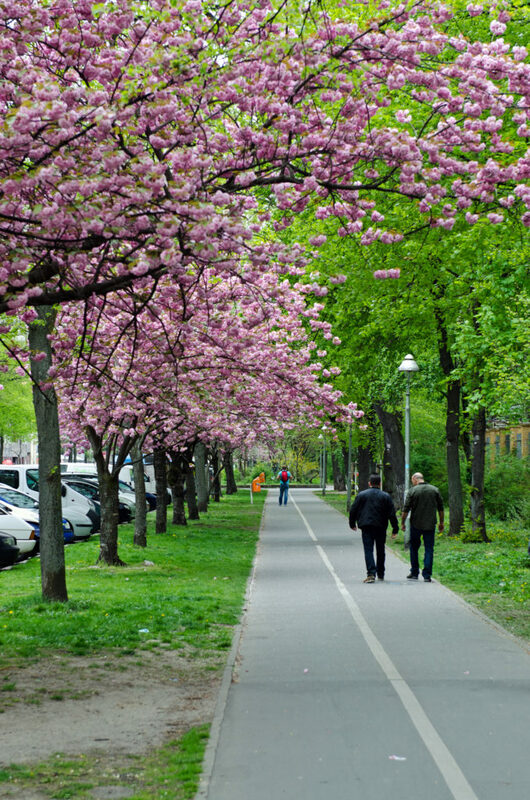 While green spaces like Viktoriapark, Görtlizter Park (infamous for its drug trade), pristine Schloss Charlottenburg and the sprawling disused airport Templehof, are the much-needed green lungs, space to “grow your own” remains a luxury. Hovering over polypropylene plate-sized greenhouses folded in an intricate origami style, containing beds of microgreens – like purple basil, rocket, mustard and radish suspended in clear seaweed based agar agar gel, we snip off stems to sample – a clash of salad garnish and laboratory magic. The taste is intense and undeniably fresh. The design, successfully rolled out on crowdfunding site Indiegogo, is reusable and recyclable and folds up to enclose the seeds held in gel, within a perfect greenhouse. It isn’t just the public who have been wooed. Infarm has set up vertical farming installations at the Mercedes Benz showroom in Hamburg, local restaurants, large hotels, kitchen product manufacturers, and even collaborated with lauded designer Werner Aisslinger to create a “textile-bathroom biotope” utilising fabrics that trap moisture. Currently they are working on a pilot project with a large supermarket. Guy and Erez show me the prototype room with rows of succulent greenery that are carefully monitored, and a compact handsomely designed home growing system (think Scandi-design meets mad botanist) that they’re patenting. 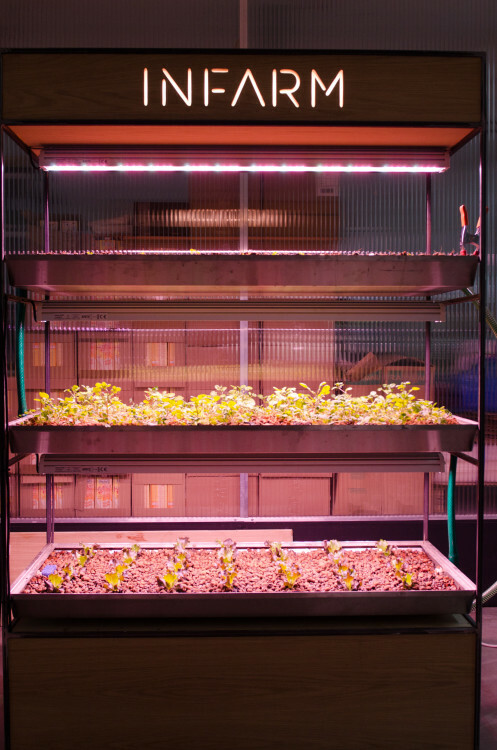 The future for urban farmers has never looked so good. Infarm showcased their vertical farming idea in airstream trailers at the nearby Prinzessinnengärten or Princess gardens, a privately run project launched in 2009 by Nomadic Green (which has subsequently become a non-profit company). Co-founder Robert Shaw, inspired by visits to Cuba, dreamed of a city garden. What has since transpired is a community space in a once bombed-out and abandoned site close to where a portion of the Berlin Wall had stood. Here 500 different plant species including potato and tomato varietals, edible flowers, herbs and vegetables ripe for harvest create an unlikely still-life, disturbed only by the hum of bees and the chatter of volunteers tending pots and sipping cold drinks. This vibrant garden has since become a symbol to Berlin and its green entrepreneurs about the power of community and shared vision. It’s run as a centre for learning, and serves as a launchpad for eco-businesses, and the exploration of the potential of urban public spaces. A restaurant and bar on site utilising the organic produce from the garden help somewhat with running costs. Facing closure from the city, Princess Gardens has opened the dialogue about cities involving residents who support initiatives that add value to their lives in crucial decision-making, over and above short-term financial gain. 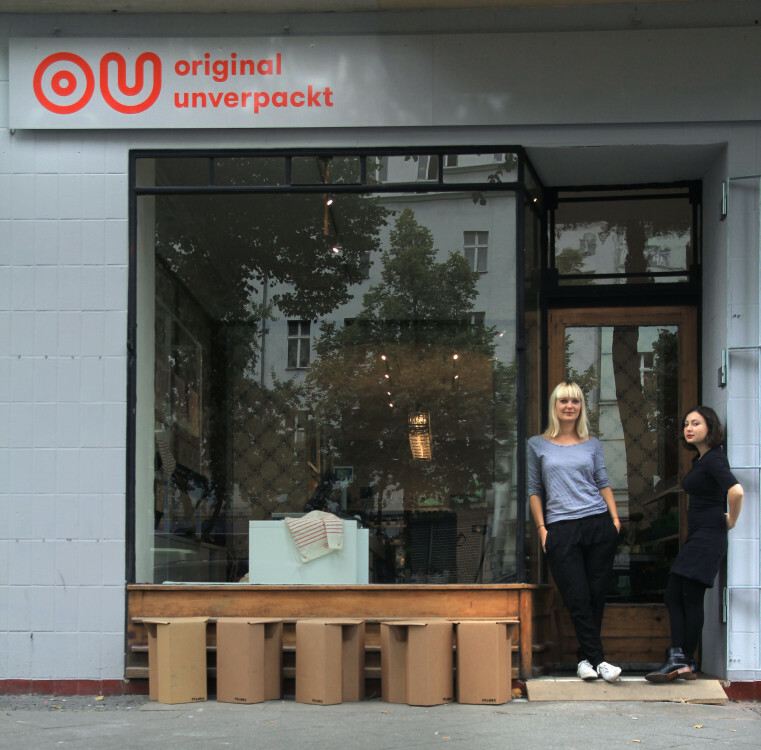 Backed by market research and a crowdfunding campaign the Original Unverpackt grocery store stocks traditional staples like lentils and rice as well as household cleaners and fresh produce that the customer will pack into their own containers and bags. The goal, Wolf explains is to start a revolution, with consumers rethinking what’s essential to the shopping experience. “We consider Original Unverpackt a vehicle for the “package-less movement”. Just like vegan, fair-trade or organic, discarding unnecessary packaging will become an important criterion when considering what it means to be environmentally conscious,” she says.